Dispensing has transitioned from simple lines or dots to a highly specialized equipment. Precise and repeatable volumes of material enable the continuous advancement of electronics packaging. From semi-conductor packaging to electronics enclosures, no two requriements are the same. 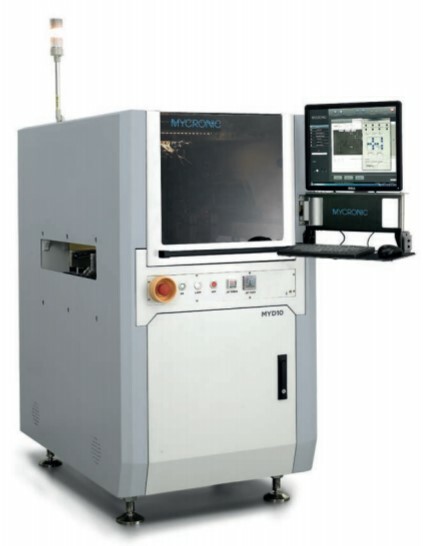 The MYD Series are tailored to exceed your requirements whether it be long boards, cleanroom environment, high precision or general purpose dispensing. This family of dispensers and coating systems has been proven in 24/7 environments to be ready for your current and future applications. Protecting electronics assemblies are growing in complexity. Capability, versatility and precision are key. New assemblies can no longer be dipped or manually sprayed. Manual masking increases labor and cost. Coating has evolved from a niche process into a mainstream requirement because electronics are being placed into consistently harsher environments where protection is key. Selective and precise deposition of conformal coating materials enable the ruggedization of electronics while reducing volatile organic compounds and operational costs.